Becoming a pro golf player takes a lot of time and effort. Managing golf tournaments is not easy either. In the past few months, we have covered a bunch of golf themes and plugins. Golf Deputy is a WordPress plugin for golf tournaments. It allows players to enter their scores from their mobile device. It supports stroke play, stableford, and match-play formats. Golf Deputy has a live leaderboard that shows updated scores to everyone on the course. You get a shortcode to put the leaderboard on any page. It supports scramble and other scoring systems. Golf Deputy can be used for multi-round events with an unlimited number of players. 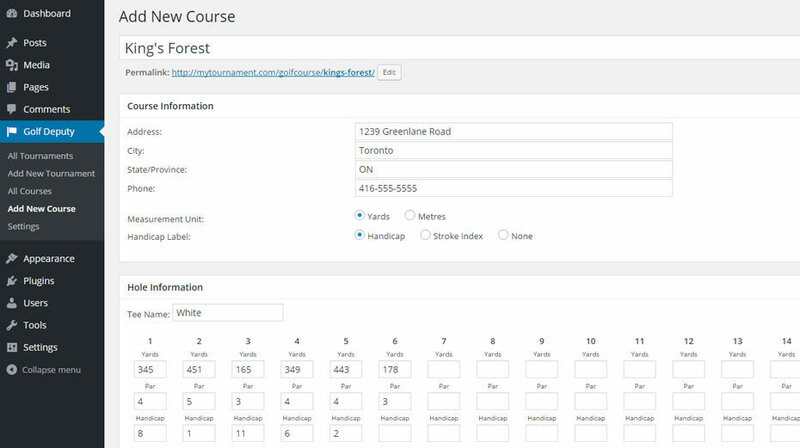 Use this plugin to create golf courses with hole yardage and par information for your tournament. You can customize points, names, and other aspects of your tournament. Want to import players? No problem. This is a commercial plugin.